Since 2003, Healy Consultants Group PLC has assisted our Clients with doing business in Algeria. 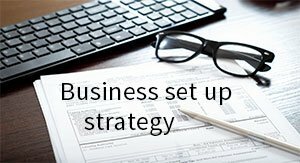 Our services include i) Algeria business registration ii) assistance to find an Algerian joint venture partner iii) corporate bank account opening services in Algeria iv) employee recruitment v) visa strategies and vi) office rental solutions. Algeria can be an attractive country to form a company providing services to the oil and gas industry. Algeria is indeed i) the largest producer of gas in Africa and ii) may have the 3rd largest shale gas reserves in the world. However, restrictions to foreign investments have contributed to limit the productivity of this industry so Algeria and its State-owned company Sonatrach are in great need of technology transfers, qualified engineers and foreign know-how. With a population of 41 million people, and a 36th rank (out of 137 economies) for its market size on the 2017-2018 Global Competitiveness Index, Algeria provides a wide consumers base for companies to expand and grow into. 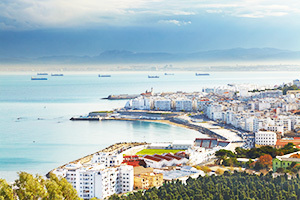 The untapped Algerian market is a great avenue for the companies to realise substantial profit margins because the GDP per-capita in Algeria when adjusted by purchasing power parity (PPP) is equivalent to 78% of the world’s average. 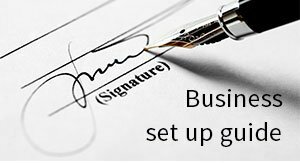 Foreign corporations are not allowed to register a branch in Algeria. Only representative offices are allowed. Corporate income tax is high in Algeria: 19% for manufacturing activities and 26% for most other activities. Dividends are subject to withholding tax at a 15% rate, with only twenty nine double taxation avoidance treaties to reduce such tax payments, mainly signed with other African countries. There persists an acute problem of corruption in different sectors of the Algerian economy. In fact, the biggest problem whilst incorporating a business in Algeria seems to be the inefficiency of its government bureaucracy. To help us engineer the optimum Algeria corporate structure, please complete the 3-minute questionnaire below; then press the submit button below.